Slip on your ballet shoes and take class at Sydney Opera House to live piano. Our six-week Adult Ballet Classes are taught by current and former dancers of The Australian Ballet and will have you performing the perfect pirouette in no time. General classes focus on strength, correct body alignment, flexibility, rhythm and grace and our Repertoire classes give you the chance to learn the steps from some of the world’s most famous ballets. 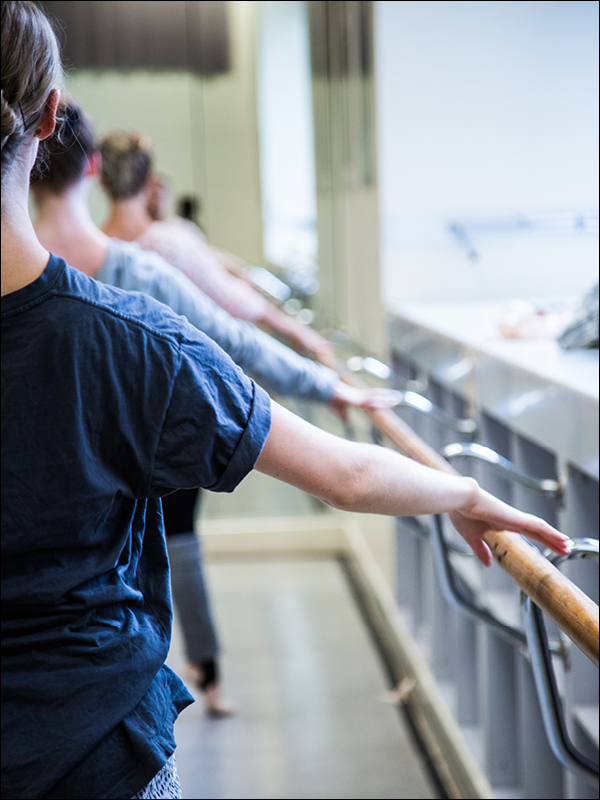 Live piano, pirouettes and pointe shoes - step inside our Adult Ballet Classes. This class is for you if: you have participated in a series of ballet classes recently and are confident with pliés, tendus, grand battements, ronds de jambs and pirouettes. Classes will focus on developing your classical technique in a safe and fun environment. Each week will build on the previous week and combine strength, correct body alignment, flexibility, coordination and rhythm. If you have questions about this event, please phone our customer experience team on 1300 369 741. Disclaimer: Ballet classes can involve risk of personal injury. While The Australian Ballet takes all reasonable care in the conduct of its classes, it accepts no responsibility for injury or loss caused during classes or whilst participants are at or near The Primrose Potter Australian Ballet Centre or The Sydney Opera House. You are responsible for ensuring that you are physically and mentally fit for the class and during the class you must at all times take care of your own personal safety. Limited change room facilities are available 10 minutes before your class commences. It’s recommended that you don’t eat in the 90 minutes before class and are well hydrated. Arrive at least five minutes before class, as there is no late admittance. Please sign in for all classes. Wash your hands before entering the studio. Please turn off phones and mobile devices. Listen carefully to the teacher’s instructions.